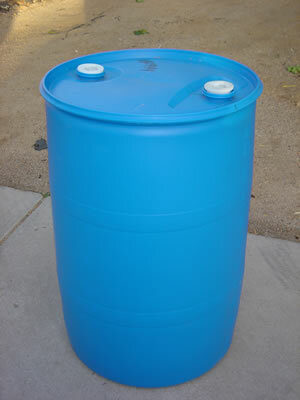 A blue 55 gallon used food grade, closed top water barrel, container that has two 2" bungs on top, one is a fine thread and one is a coarse thread. 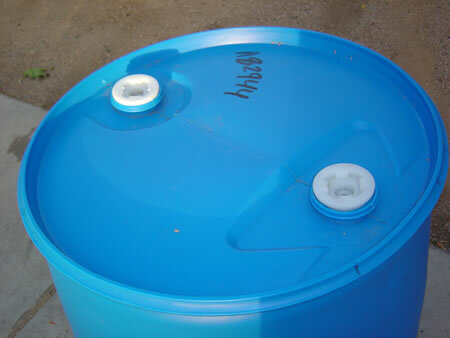 Excellent for use as rain barrel or rain harvesting. Ideal for prepper use. Width is 23" and height is 35".